While styles, and items in the overhead compartment, may shift, these comely carry-ons will make you feel like a member of the jetset, even on JetBlue. If airports are anathema to you, trust us, you’re not flying solo: Planes lack panache, shuttles feel like cattle cars and airports like bus depots, and the luggage claim may well be the seventh circle of hell. The trick to keeping your cool is in the bag—or, more precisely, the carry-on. With online check-in and a tote on your shoulder, you can breeze past Cerberus at the TSA checkpoint, straight to your gate, which, barring all inclement or mechanical maladies, will not be purgatorial. Just remember to travel light (and make sure all liquids, including your blood, sweat, and tears fit into a quart-sized Ziploc). To see further merit in carry-on travel, one need only glimpse the bounty of lost luggage at the Unclaimed Baggage Center (bargain hunters refer to it as the UBC) in Scottsboro, Alabama. Everything from a 5.8-carat diamond engagement ring to an F-16 guidance system (which was returned to the Air Force) has shown up in this city-block-sized facility. Although airlines try oh-so-assiduously to reunite luggage with luggee, after 90 days, errant bags—even the ones with lucky tags and rainbow belts—are sold in bulk. The UBC stocks 7,000 items a day, plundering all you packed, and divvying up choice objects to sell at Salvation Army prices. So with your perfect Parisian dress picked up during les soldes stowed beneath the seat in front of you, and your beloved Holga in the overhead bin, you may actually rest easy in coach. But if that’s not enough to convince you, perhaps our selection of carry-on bags will. Our expert, John Sencion, has traversed the globe, refining a Tetris-style strategy for perfect packing. 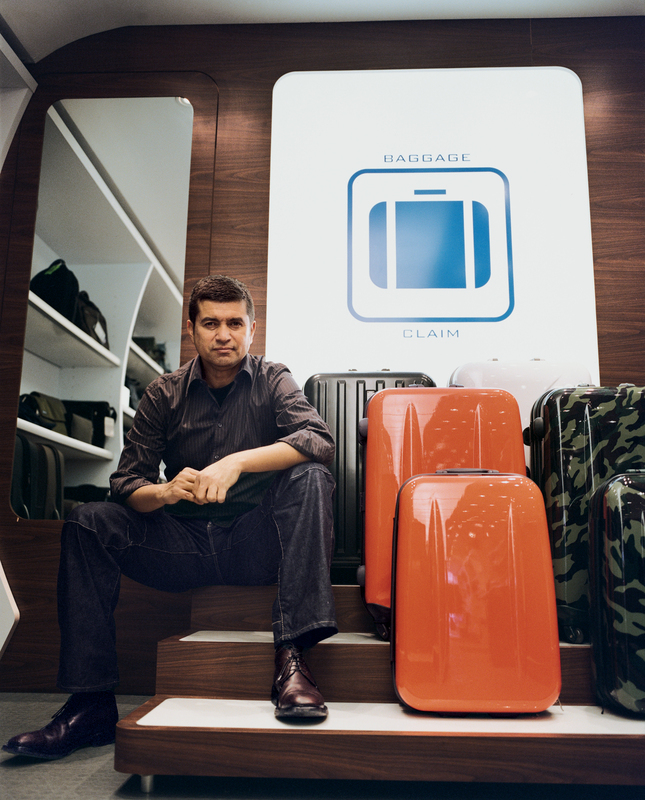 And as the man behind the brand Flight 001, he knows the difference between the good bag and the ugly. John Sencion is “cocaptain” of Flight 001, the travel store that is every frequent flyer’s jet dream.